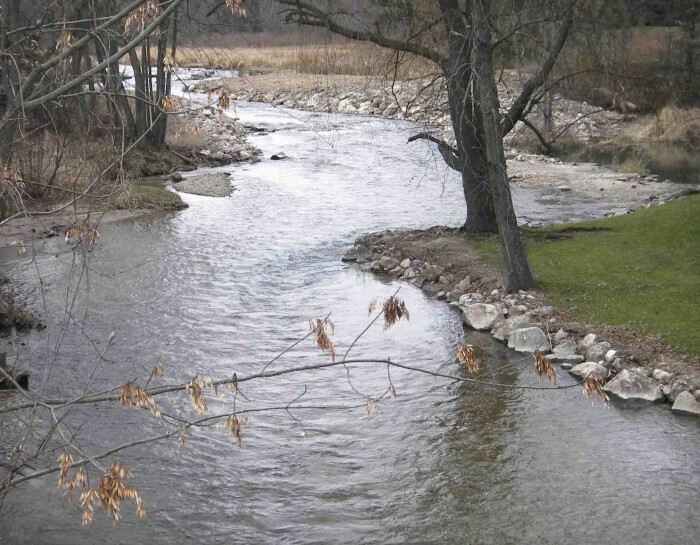 In December 2001, the MRWA convened a meeting with the Village of Hersey, potential funders and stakeholders, including federal, state, regional, county and local officials to review the situation on the Hersey River. At that time, the Village of Hersey reported that they and the MDNR are monitoring the progress by the MDEQ and a private party to assess and eventually remove isolated contaminated river sediments around the Hersey dam structures. Removal of the contaminated sediments is necessary before the dam structures can be removed. The Beazer East Company, with the supervision of the MDEQ, removed 750 cubic yards of contaminated sediment from around the Hersey dam structures in August 2002. Cleanup of the contamination has now been completed. The MRWA was awarded a $5,000 grant from the MDNR to complete preliminary design costs and engineering estimates for the removal of Hersey’s dilapidated dam structures. The Wege Foundation matched this grant dollar-for-dollar. The MRWA and Village of Hersey will work with engineering company, Prein & Newhof, on this project. Preliminary engineering design/cost estimates for removing the dam structures and restoring free-flowing river conditions have been completed by Prein & Newhof Engineering. The MRWA, MDNR and village officials are collaborating in efforts to identify and apply for funding. The MRWA received a $75,000 grant award from the National Fish and Wildlife Foundation and a $50,000 grant award from the US Fish and Wildlife Service to remove the dam structures in Hersey. The Wege Foundation has agreed to match dollar-for-dollar any monies received for this project. Some additional grant funding will be sought to make this an approximate $274,600 project. On May 11, a public meeting was held by the MRWA to discuss the dam removal project with the community. Dam removal was completed on October 13. Streambank restoration was completed in November 2006. 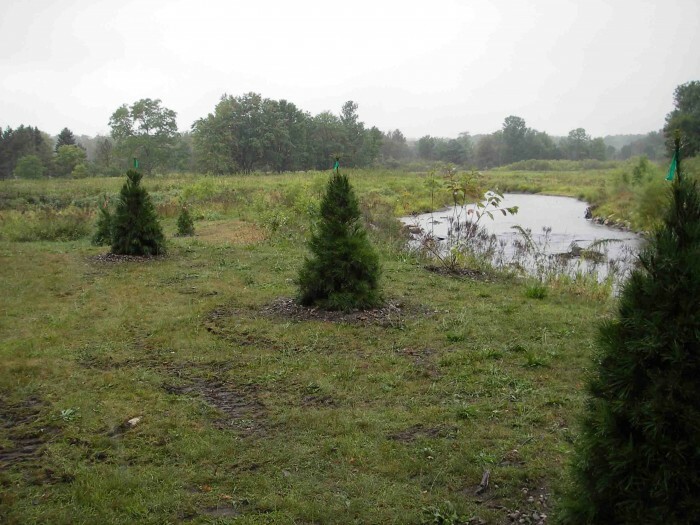 Using a donation restricted for the Hersey area, 30 mature trees were planted in September 2008, along the River and in the former impoundment area. Village of Hersey employees, Master Gardeners and the MRWA participated in the planting.